Fielding is one of the 3 main disciplines of the game of cricket along with batting and bowling. Most young players start taking a keen interest in the game from about age 9 or 10. Puzzles are not only fantastic tools that help stimulate a child’s mind but they generally enjoy puzzles and the problem solving that comes with building them. 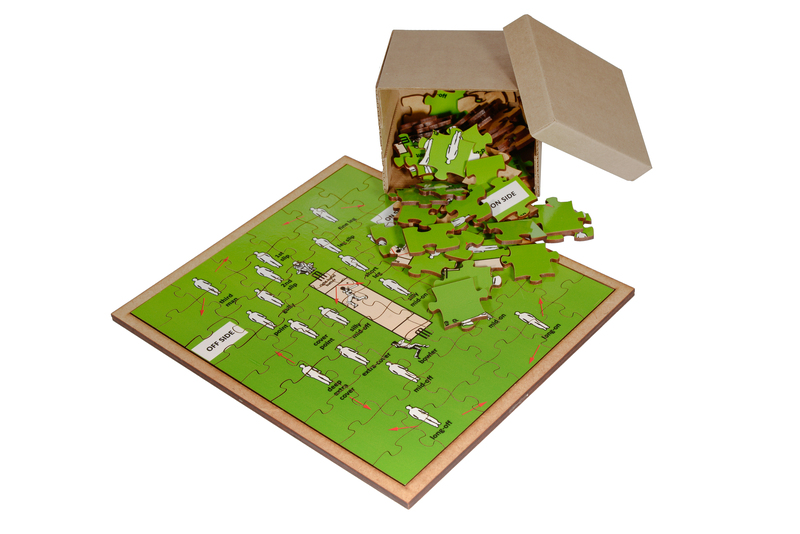 Fielding positions have some peculiar names which can be confusing, but our 54-piece wooden puzzle complete with puzzle backing board shows all the fielding positions used in the game of cricket. Our fielding positions puzzle will not only benefit any young player to learn these positions and help with their development and knowledge of the game as they get older, but it will also teach them patience by taking their time to put the various pieces together and ‘puzzle out’ where the positions are on the field! Good fielders and choosing the positions of fielders is extremely important as the fielders stop runs from being scored by the opposing team. Fielders can take an amazing catch or run out an opposing batsman which can be the difference between winning or losing. These will also make great gifts for special occasions such as Birthdays or Christmas !